Days after the suicide of fashion designer Kate Spade, at 55, the Centers for Disease Control and Prevention (CDC) reported that suicides are becoming more common in every age group, but especially in mid-life. The biggest increase was among men ages 45 to 64, and suicide is rising among mid-life women, too. 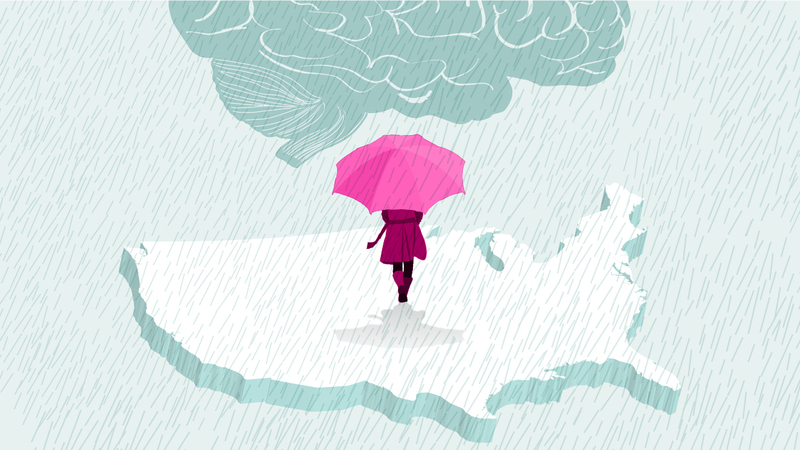 Young people — from teens to college students — are another group that appears to be greatly affected by the mental health storm that’s growing in America. In the last decade, Lisa Cohen, PhD, clinical professor of psychiatry at Mount Sinai Beth Israel in New York, has seen a bump in college students and young adults from stable families landing in the hospital at risk for suicide after a minor stress. In part, that may be because they’ve been overprotected — but the overall ramp up in stress during early adulthood is also steeper today than it’s been in the past. At the same time, they face heavy college loans and a technology-dominated social world that requires a thicker skin. The less secure economy and less social contact may be at work in mid-life despair as well. Prompt treatment for depression is important to overall health. Untreated depression raises the risk of stroke, heart attacks, dementia, and Parkinson’s — especially in older people. And once a person is ill, depression can make recovery more difficult. Some of the rise in rates of depression might be attributed to more people seeking care as mental illness becomes less stigmatized. However, the recent bumps in numbers of depressed people have happened too quickly to entirely fit that explanation. For example, diagnoses of major depression rose by a third between 2013 and 2016, in a report analyzing claims to Blue Cross Blue Shield Association. This data revealed increases in all age groups for both men and women — but particular spikes among teens and young adults through age 35. In research based on national surveys including the uninsured, more than 11 percent of teens, and 9.6 percent of Americans ages 18 to 25, had major depression in the most recent year. More than 22 percent of American high school girls think about attempting suicide, according to 2013 CDC data. Of that group, 3.6 percent took steps that resulted in an injury, poisoning, or overdose that required medical care. The numbers were roughly half for boys: Nearly 12 percent considered suicide and less than 2 percent took actions that required medical care. In surveys that ask teens and college students whether they engage in self-hurting behavior such as cutting or burning their skin, as many as 40 percent say yes, though it’s not clear whether those figures are rising. Self-hurting behavior is a risk factor for suicide attempts. “When I started in the field in the late 1980s, young patients with severe suicidal ideation or self-injurious behavior, like cutting, came from very disturbed backgrounds and often had histories of considerable trauma,” Cohen says. Today, they may be from stable, supportive families. Why now? One big obvious change is the rise of social media and the smartphone. Based on two large U.S. surveys of 8th- through 12th-graders, researchers argued that screen time tracked closely with reported mental health issues. This was true for individual kids — the more time on the phone, the more likely they were to report symptoms of depression. It was also true for the numbers as a whole, lead author, San Diego State University psychologist Jean Twenge, PhD, reported. Kids began getting smartphones between 2010 and 2015. As the phones spread, overall depression symptoms increased, year by year, she said. In the same period, visits to counseling centers at colleges jumped 30 percent. A social media habit has also been tied to depression in studies of 19- to 32-year-olds, though it may matter most how often they look. Today, for people in their 20s and 30s, technology dominates dating. New apps put an unprecedented number of choices at their fingertips — but that’s also made many feel more hopeless about finding love, says Loren Soeiro, PhD, a clinical psychologist in New York. “I talk to a lot of people about how these dating apps make them feel. They feel commodified and given a very small chance,” she says. For those who are vulnerable to feeling left out, social media shows them acquaintances having more fun than they are. And for those who try to compete, the competition can be constant. Playing on smartphones can often cut into sleep as well. Some 60 percent of teens spend the last hour of the day with their phone — and end up losing an hour of sleep compared to peers who do something else at bedtime. 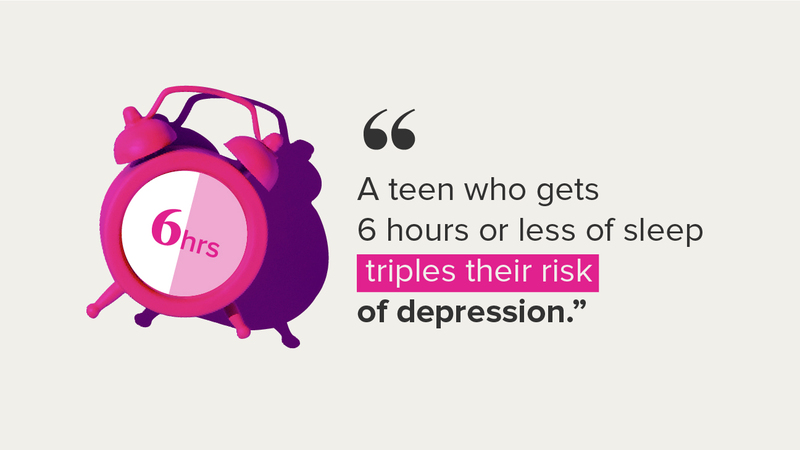 A teen who gets six hours or less of sleep triples their chance of becoming depressed. Other research found that loneliness is at “epidemic levels” in the United States. For example, when asked how often they feel that no one knows them well, 54 percent said they feel that way always or sometimes. Generation Z — adults between the ages of 18 and 22 — emerged as the loneliest, regardless of how much time they spent online or on their phones. More adults — 42 percent — live without a spouse or romantic partner, a number that has grown since 2007 in all age groups under 65. That number is even higher for those aged 18 to 35. About 61 percent live as singletons — up from 56 percent in 2007. It’s not clear that married people are happier, healthier, or are less lonely — yet many unpartnered people assume they are and feel left out. It is clear that living single is tied to less financial security, a Pew Research Center report notes. More than half of working-age adults without a job were living single in 2017, sharply up from a decade earlier. They don’t have access to a spouse’s health insurance or cushion when their income falls. For decades, suicide rates had been falling. However, in the new CDC suicide data, the average yearly growth rate doubled beginning in 2006 to 2 percent a year. Most Americans who die of suicide are white, working-class, middle-aged men. 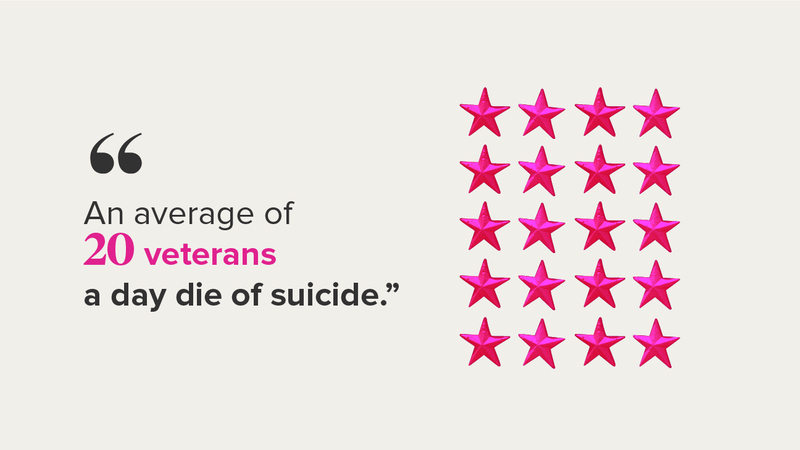 About 20 veterans also die of suicide each day, most of them over the age of 50. Men are more likely to use guns than women and less likely to seek help. But with rates rising among women, the gap has narrowed. Pooling together the sexes, the rate of suicide in the 45-to-64 age group rose 45 percent from 2000 to 2016. Suicides tend to increase during recessions, and the most recent one “may have left the middle-aged population especially hard hit,” suggested Anne Schuchat, principal deputy director at the CDC. Job prospects for men without a college degree have been dwindling for some time, and they’re now more likely than before to be single. Beyond the suicide numbers, some take the “slow suicide” route and die of drug overdoses or alcohol liver disease. Although depression can make it much harder, now is the time to take good care of yourself. If you or someone you know is struggling with depression, be persistent about finding the right medical care — ideally both medication and counseling — and use that boost to focus on good health habits across life. Exercise helps, though research suggests it won’t substitute for therapy. Mind your diet and sleep, as well as hygiene, and cultivate in-person social ties. For parents, the tendency is to worry most about teens who are acting out. But, according to a 2014 study of more than 12,000 European teens, an “invisible risk group” of teens don’t exercise, skip sleep, and spend a lot of time online. More than 13 percent were depressed and nearly 6 percent attempted suicide. Parents can promote in-person social activities for children to help them fight the trend of spending hours alone in their room and limit screen time by barring phones and laptops from beds. Loss of appetite emerged as a red flag for suicidal thinking in a study in Japan of more than 18,000 teens. What your child eats matters, too. Skipping vegetables and fruits and sticking to foods like meat and bread is depressing, according to research with more than 7,000 teens. Don’t wait more than a year to get help for a child with suicidal thinking: Research suggests that treatment within the first 6 to 12 months after the suicidal thoughts begin is most effective. Should your teen take an antidepressant? The usual recommendation is a combination of talk therapy and antidepressants, although a 2014 review from the prestigious Cochrane Review concluded that this approach remains unproven. No teen should have access to guns, alcohol, painkillers, or sleeping pills at home. Don’t assume you’ll see the red flags in time to whisk the pills away. Young people sometimes act on a suicidal impulse within minutes or a day.